This book by Dr. Satish Rana is a compilation of some useful nuggets from Dr. Kent's writings. The warnings and advises of Dr. Kent have been taken from his works - Lectures on Materia Medica, Lectures on Homeopathy Philosophy, Lesser Writings etc. These nuggets were initially printed in successive issues of The Similitude (journal edited by Dr. Rana) starting from Oct. 1999. Now the same have been compiled in a book form. Kent, as a homeopath and as an author, has many followers and many dissenters. This book has substance for both. Kent was undoubtedly one of the most prolific writer and contributor in homeopathy. His contribution is of such magnitude that it can not be dismissed by anyone. His focus on mental generals and inclusion of clinical symptoms in his repertory has been criticized by many. As an author, Kent has been read and followed widely, misunderstood and misquoted frequently. People even suspect if he was a true hahnemannian or not. This book will help dispel many such doubts by focussing on various excerpts from Dr. Kent's writings which help one understand the man behind those books better. Due to his vast knowledge of our philosophy, command over materia medica, work on repertory and clinical experience, Dr. Kent remains a man in his own league. Spread throughout his different works there are pearls of knowledge and wisdom. These pearls have been picked up by Dr. Rana and given to us as a beautiful necklace. "After thirty years of careful observation and comparison with the use of the various potencies, it is possible to lay down the following rules: Every physician should have at command the 30th, 200th, 1m, 10m, 50m, cm, dm and mm potencies, made carefully on the centesimal scale. From the 30th to the 10m will found those curative powers most useful in very sensitive women and children. From the 10m to the mm all are useful for ordinary chronic diseases in persons not so sensitive. In acute diseases the 1m and 10m are most useful. In the sensitive women and children, it is well to give the 30th or 200th at first, permitting the patient to improve in a general way, after which the 1m may be used in similar manner. After improvement with that ceases, the 10m may be required. In persons suffering from chronic sickness and not so sensitive, the 10m may first be used, and continued without change so long as improvement lasts; then the 50m will act precisely in the same manner, and should be used so long as the patient makes progress toward health; then the cm may be used in the same manner, and the dm and mm in succession. By this use of the series of potencies in a given case, the patient can be held under the influence of the similimum, or a give remedy, until cured. When the similimum is found, the remedy will act curatively in a series of potencies. If the remedy is only partially similar, it will act in only one or two potencies; then the symptoms will change and a new remedy will be demanded. Many chronic cases will require a series of carefully selected remedies to effect a cure, if the remedy is only partially similar; but the ideal in prescribing is to find that remedy similar enough to hold the case through a full series to the highest. Each time the patient will say that the new potency acted, as did the first one received. The patient can feel the medicine when it is acting properly. Some have intimated that suggestion is a help to the action of the remedy; but it is wise to know that suggestion fails when the wrong remedy has been given." This book has been compiled in paragraph form. Each para has been given a suitable title for indexing and alphabetical arrangement. The book offers a useful insight into Dr. Kent's writing and every homeopath can find something useful in this vast collection of - warnings and advises of Dr. Kent. Dr. Dinesh Chauhan is a renowned Homoeopath who is extremely popular amongst the students from India and abroad for his lectures, elaborated explanation about the art of case taking and live cases. A parallel correlation of his subject with the universe, mystic, human philosophy as well as physics, a spontaneous and constant exchange of humor and dialogues with the participants are the benchmark of his lectures that not only reflects his hold on the subject he touches but also makes his lecture a very joyous, lively and trouble free ride for his students. 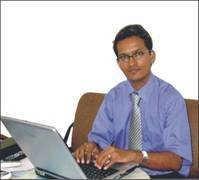 He is practicing since past eight years as a classical homoeopath and he thoroughly enjoys teaching homoeopathy. A visiting lecturer at the Virar Homoeopathic Medical College, Mumbai, he is a panelist in the School of Classical Homoeopathy for the international students along with Dr. Rajan Sankaran and his team. He travels to various countries like Denmark, U.K., South Africa, Korea, Japan, etc for his seminars. Clinical courses conducted by him and Dr. Urvi Chauhan, his wife are getting popular amongst various participants; so far students from South Africa, Canada, Austria, Israel, Korea, Japan, Portugal, Lithuania, Germany and Ireland have taken benefits of this course at their clinic. Impossible Cure will serve as an invaluable guide to anyone interested in learning more about this intriguing form of health care. 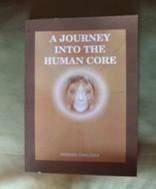 It has won endorsements from leading experts in alternative health care, including: Larry Dossey, MD (executive editor, Alternative Therapies in Health and Medicine, and author of Healing Words); Bernard Rimland, PhD (director, Autism Research Institute); Wayne Jonas, MD (director, Samueli Institute, and former director, Office of Alternative Medicine, NIH); Michael Castleman (author of The New Healing Herbs and other consumer health books); Louis Klein, RSHom (president, Luminos Homeopathic Courses); and Richard Pitt, CCH, RSHom(NA) (director, Pacific Academy of Homeopathy). Amy Lansky graduated from the University of Rochester in 1977 with degrees in mathematics and computer science. She received her doctorate in computer science from Stanford University in 1983. 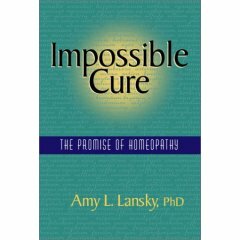 After many years working at various Silicon Valley research institutions, Lansky made an unusual career move -- she became a student, writer, promoter, and, most recently, practitioner of homeopathic medicine. This was prompted by the miraculous cure of her son's autism with homeopathy. She is dedicated to helping others -- especially families with autistic children -- discover the curative powers of homeopathy.